More than 60 of the world’s leading apparel brands and retailers, including Adidas, Burberry, H&M, PPR Group, Walmart, Target, and Macy’s, along with the American Apparel and Footwear Association, have pledged to boycott cotton knowingly harvested using child laborers in Uzbekistan. The Uzbek government forcibly sends upwards of 2 million children—some as young as 7—to work in the fields for 10 hours a day, for two to three months each year, according to the Responsible Sourcing Network, which coordinated the nearly 900 signatories. The embargo will be in effect until the International Labour Organization verifies the elimination of bonded child labor in Uzbekistan. Uzbekistan is the world’s fifth-largest producer of cotton and its third-biggest exporter, so the impact of a ban is not inconsequential. The European Union also expressed its disapproval this month when the European Parliament’s foreign affairs committee unanimously voted against including textiles in the Partnership and Cooperation Agreement with Eastern Europe, Southern Caucasus, and Central Asia, which would have lowered tariffs on imports of Uzbek cotton. “Enslaving children and torturing dissidents is never chic,” says Stev Swerdlow, a Uzbekistan researcher at Human Rights Watch. “The children do not work in small family businesses,” Nicole Kiil-Nielsen, the French MEP who led the opposition to the amendment, said after the Oct. 4 vote. “It is really organized, forced labor. They transport the children, they put them on the cotton fields, and [the children] live at the site in deplorable conditions.” Failure to meet the daily quota of 100 pounds of raw cotton can result in physical harm and expulsion from school. As Stev Swerdlow, a Uzbekistan researcher at Human Rights Watch, puts it, “enslaving children and torturing dissidents is never chic.” We commend these companies for their public commitment to sourcing their raw materials without exploiting innocent children. As they use their buying power as leverage for change, we hope our readers do the same. 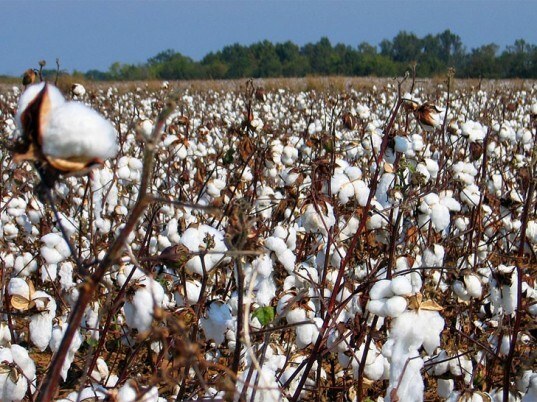 More than 60 of the world's leading apparel brands and retailers, including Adidas, Burberry, H&M, PPR Group, Walmart, Target, and Macy's, along with the American Apparel and Footwear Association, have pledged to boycott cotton knowingly harvested using child laborers in Uzbekistan. The Uzbek government forcibly sends upwards of 2 million children�some as young as 7�to work in the fields for 10 hours a day, for two to three months each year, according to the Responsible Sourcing Network, which coordinated the nearly 900 signatories. The embargo will be in effect until the International Labour Organization verifies the elimination of bonded child labor in Uzbekistan.